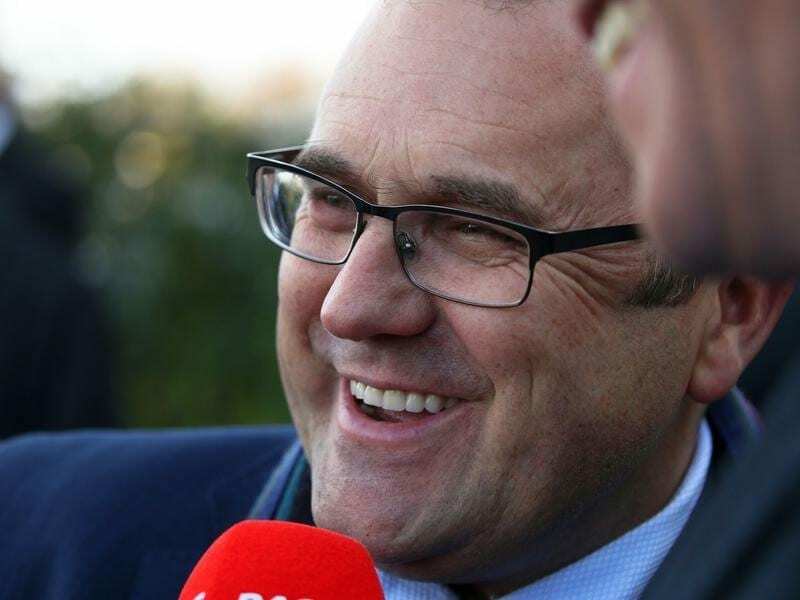 Trainer Robbie Griffiths is looking forward to seeing how Fidelia performs at Caulfield. Lightly raced Fidelia has shown Robbie Griffiths enough to suggest she can be a player in the spring but the trainer is concerned about the filly’s wide barrier in the Quezette Stakes at Caulfield. Fidelia won on her home track at Cranbourne on debut last month over 1000m before coming to town to run third over the same distance behind the highly promising Multaja at Moonee Valley on August 4. “I thought anyone with an unbiased opinion would give a big tick to the winner, us and probably (runner-up) Pippie as well,” Griffiths said. Saturday’s Group Three Quezette Stakes (1100m) for fillies will be Fidelia’s first attempt at a black-type race. “She was terrific on debut and was super at Moonee Valley,” Griffiths said. “She trained really well on Tuesday. She’ll run super on Saturday but I am concerned about barrier 14. The James Cummings-trained Multaja is not amongst Fidelia’s Quezette rivals but Pippie was the $4.20 second favourite on Thursday behind Magic Millions winner Sunlight at $3.10. Fidelia’s upcoming starts will show whether she can progress to the Group One Thousand Guineas over 1600m. “If her energy levels or lack of experience or lack of seasoning suggests that we can’t do that well then we’ll just keep her to the sprints and keep her fresh and maybe look at stretching her out in the autumn,” Griffiths said. “I’m hoping she’s a miler but I don’t think we know the answer yet.